When moving a library, your main concern is the number of your items rather than its variety. After all, you are moving a library. But then, books have their own differences. Some are easy to handle while some needs extra care. In fact, they can suffer from damage during the transition if taken lightly. The worse thing that could happen, they can be lost. So, to make it easier on your part, you will need a team that can handle all the contingencies with ease. There is always an option of doing it on your own. If you’re going move a huge library, and along with it are the important documents, then you better consider hiring professional library removalists. They have been moving multiple libraries over the years. We understand how important your items are to you. So, in every project that we handle we make it a point to provide the best service. Our library relocation procedures are industry standards. And our team are well equipped and well trained. If you feel it’s necessary that you take part on the move too, then that will not be a problem. We’ve been used to working side by side with our clients. The professional library removalists team will make sure that your treasures will reach their destination without any hassle for your part. 5 Professional Library Removalists Tips in Moving Libraries. Your treasures may include irreplaceable materials. It could be documents, plans, drawings, maps, artefacts, pamphlets, paintings and other significant materials. And these important files are kept for historical and many other significant purposes. There are also paperback books which may not be as valuable but are still precious for your library. These materials need professional care. So to ensure their safety, the one that must handle them needs the right knowledge. Hence, wearing gloves and using inert packing materials such as anti-acid tissue paper is highly advised. Packing is an important step in moving out your precious documents. When doing this, one should bear in mind to make sure that the unpacking at the new site will be easy. Ergo, sequential packing is a must. The moving team should be at least familiar to standard library classification systems such as Dewey Decimal, Binary and Congress. Furthermore, packing is also a crucial preparation for the actual move. Hence, at this point, the team should’ve already decided whether to use crate and skate solution or not. Short term storage Sydney can also be a very good partner in preserving your treasures for the move. It would be wise to have a storage means during the move. For we believe that the best strategy when moving, is not to move everything at once. Hence, storing some of the copies while slowly moving each batch would be clever. Especially that storage facilities have temperature control initiatives too. If you are simply moving next door, then staff relocation should not be an issue. 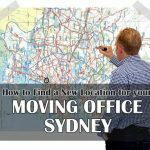 But if you are moving to farther distances then professional library removalists suggest that you decide whether it’s more beneficial to get new hires. Modern libraries are not all just about books. If you have electronic gadgets and equipment such as computers and peripherals, then you will need knowledge in handling them properly. As a matter of fact, it is something that can be learnt. However, it is rather best to have it done by the professionals when you really don’t have an idea how to deal with it. All the libraries that we’ve relocated had a successful move thanks to these insights. This kind of knowledge is exactly what you need to relocate your libraries. Match that with expert and structured process, then you will have nothing else to worry about. Wonder where can you get such expertise and insights from professional library removalists? Business relocations services are the best removalists team to help you in moving a large volume of items. We treat each client and projects with equal care. Our top priority is to relocate our clients with ease. Thus, ensuring that everything else will go as smoothly and efficiently as well. Explore more services by browsing our website. And check out more insights from the blog section. 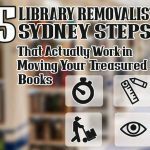 Also, get to know these 5 Easy Library Removalists Sydney Steps to Move Your Treasured Volumes and guarantee your smooth transition.